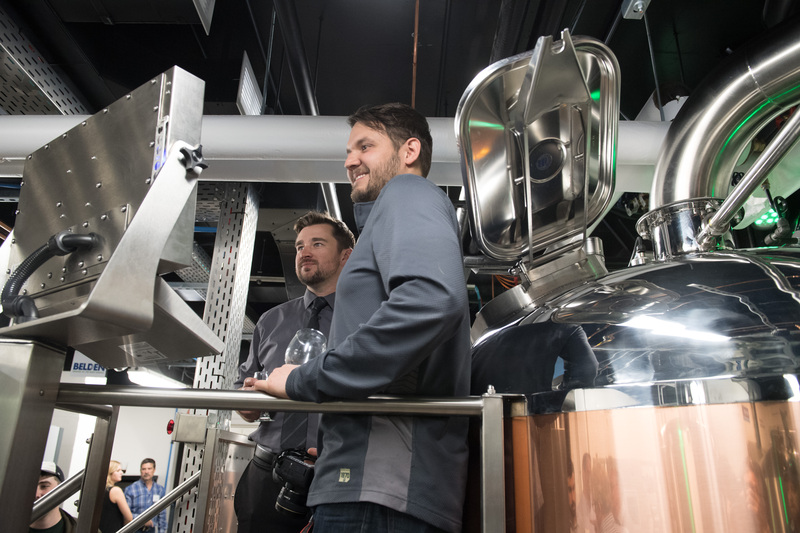 MILWAUKEE, April 10, 2018 – Colorado State University (CSU) held a grand opening yesterday for a new hands-on brewing lab and industry showcase that will give students practical experience for careers in the brewing and fermentation industries. The lab is part of CSU’s state-of-the-art Fermentation Science and Technology (FST) program. Support from both the university and members of the Rockwell Automation PartnerNetwork program was vital to getting the brewery operational. “With the PlantPAx system, students gain valuable insights into the brewing process while getting practical exposure to a scalable, stable and operator-friendly automation platform,” said Malyszko. Founded in 1870 as the Colorado Agricultural College, Colorado State University is now among the nation's leading research universities. Located in Fort Collins, CSU currently enrolls about 24,000 undergraduate students, 4,000 graduate students and 580 Professional Veterinary Medicine students and has more than 1,800 faculty members working in eight colleges. More information is available at www.colostate.edu. Malisko Engineering, Inc., System Integrator Hall of Fame member, is a CSIA Certified manufacturing automation integrator with capabilities in Plant Floor Control, Process Automation Solutions, Manufacturing Intelligence, Power Quality & Energy Management (PQ&EM), Industrial IT and Validation. Its multi-disciplined team of engineers, designers, programmers and automation and validation specialists help clients safely increase production speed, reduce cost and maintain product quality. Learn more about Malisko Engineering at malisko.com. FactoryTalk, LISTEN. THINK. SOLVE., PartnerNetwork and PlantPAx are trademarks of Rockwell Automation Inc.